My name is Matti - editor here heading a team bringing you all the latest Death Note news, gossip, speculation, discussion and fun. I scour the globe through cyberspace for news about Death Note, writing most of the current event articles for your enjoyment. And mine. I'm the author of the It Matters series (Mello and Matt fan-fiction novels) too. I'm not sorry. My moniker Matti is just coincidentally akin to Mr Jeevas. Mine long before the muse whispered manga to Tsugumi Ohba. Though my MRSJeevas fan-fiction pseudonym is a fair cop. Wish to contribute to Death Note News? Contact us with your article and/or ideas! 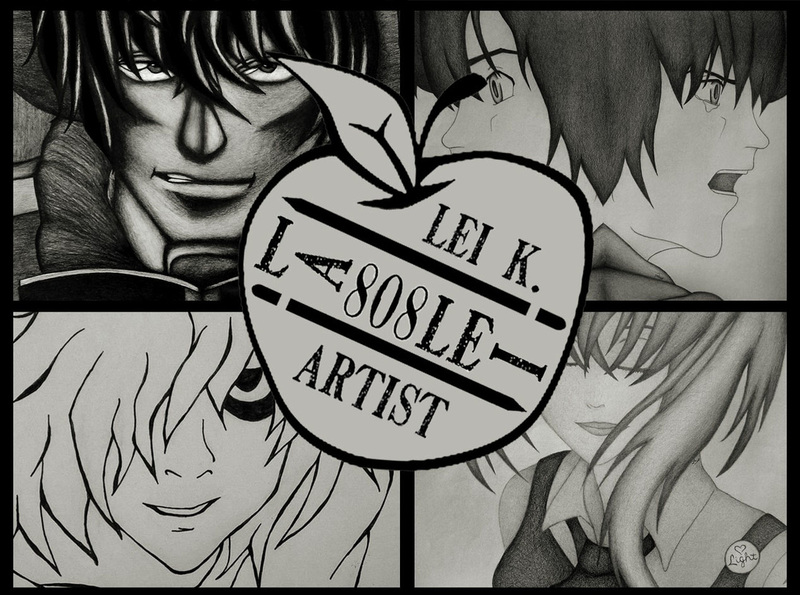 Well known in her own right as a creative force expressed through the medium of graphite pencil and charcoal art, Lei K runs her own gallery in the USA. A talented professional who also happens to be a Death Note fan. Artwork will follow. Death Note and tarot cards.